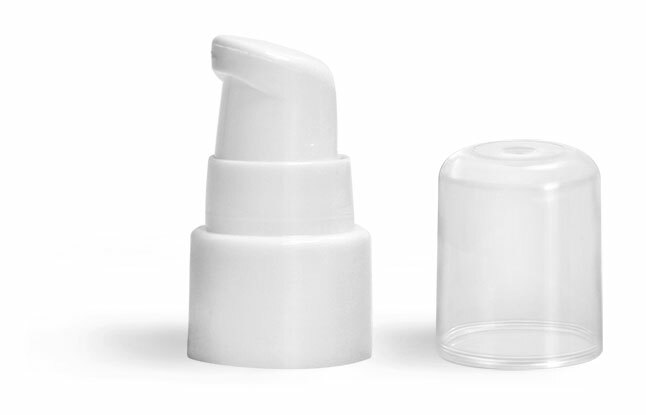 The white polypropylene treatment pumps come topped with a clear styrene hood and are available with a 2 3/4", 3 1/2" or 4 1/4 '' long dip tube. Dispensing 190 MCL of product per stroke the treatment pumps are a perfect choice for dispensing many cosmetic products from make up to face washes. Scroll down to view compatible container options for the treatment pumps.